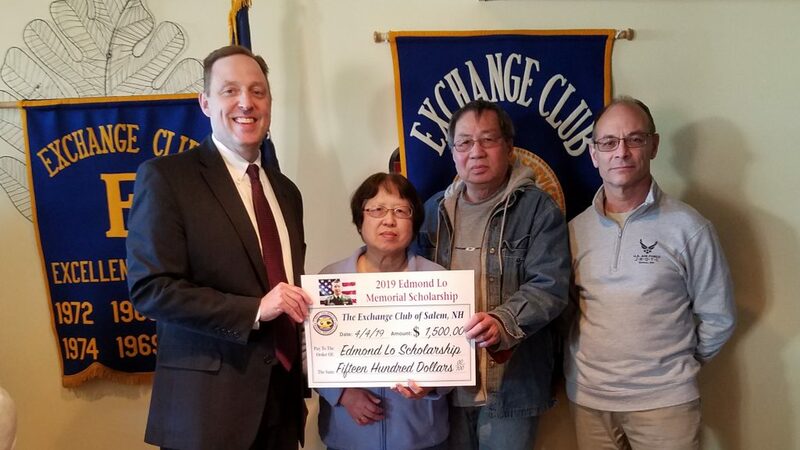 Thank you to the Salem Exchange Club who generously gave us a $1,500 scholarship fund check! This year’s scholarship winners will be announced shortly, next month. Stay tuned! Also, our 10th annual pasta night is scheduled for Friday, May 31st. More details as the date gets closer. Thank you to all for allowing us to continue honoring and remembering Edmond. We are a volunteer-run, 501(c)(3) organization and all proceeds go towards scholarships. This entry was posted in News by Ray. Bookmark the permalink.